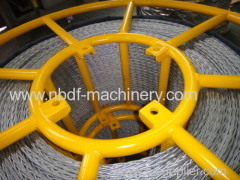 Ningbo Dongfang Machinery Of Power Co., Ltd.
Anti twisting braided steel rope is used for stringing conductors, OPGW and earth wire in overhead transmission line stringing. it is specially braided from high strength, galvanized steel wire, The braided steel strand has high flexibility, complete stability to rotation under tension force. It can homogeneously distribute the pressure between the elementary wires. The special rope can increase efficiency during the overhead transmission line stringing work. 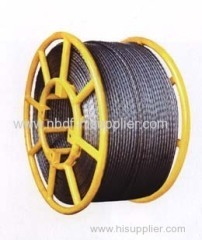 9mm Anti twisting braided steel wire rope is used as pilot wire rope for pulling conductors or OPGW cable in transmission line stringing operation. 12mm Anti twisting braided steel wire rope is used as pilot wire rope for pulling single conductor or OPGW cable on transmission line. 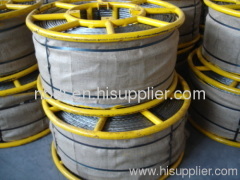 14mm Anti twisting steel rope is specially braided from 12 strands of high strength, high flexible galvanized steel wire, used for pulling conductor. 18MM Anti twisting braided steel rope is used as pilot wire rope for pulling two conductors in overhead transmission line stringing operation. 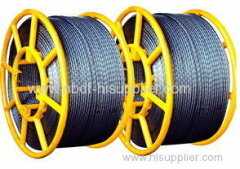 20MM Anti twisting braided steel wire rope is used as pilot wire rope for pulling 2 or 3 conductors in overhead transmission line stringing operation. 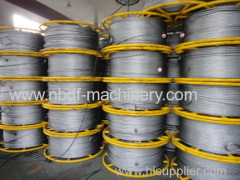 22MM Anti twisting braided steel wire rope is used as pilot wire rope for pulling 4 conductors in overhead transmission line stringing operation. Anti twisting braided steel rope is used for stringing conductors, OPGW and earth wire in overhead transmission line stringing. Anti twisting steel rope is specially braided from high strength, galvanized steel wire, and used for pulling transmission line. Anti-twisting galvanised steel wire rope, braided from 8/12/18 steel strands of high tensile strength, is specially designed as pulling rope. Anti twisting galvanized pilot wire rope is used for pulling conductors or OPGW, earth wire in the overhead transmission line construction. Group of Anti twisting braided steel rope has been presented above, want more	Anti twisting braided steel rope and Anti twisting steel wire rope, Please Contact Us.